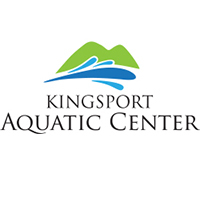 The Kingsport Aquatic Center is kicking off the summer with your favorite exercise classes. Enjoy your summer mornings or afternoons by taking a Lazy River or Poolside Yoga class. There are many benefits of working out in water. Not only is it easier to stay cooler in a pool, but the workout itself has both mental and physical health perks. The average thirty minute pool workout burns approximately 300 calories. It takes the elimination of 3500 calories to burn off a pound of body fat. A minimum three to four times per week pool workout is recommended, so a mere three to four weeks will result in measurable weight loss. The Lazy River class will take place outside in the Lazy River and is open to all fitness levels. Participants will perform exercises while moving against or with the current of the river. Modifications will be provided by the instructor when necessary, and participants do not have to know how to swim to take the class, as the water is only 3 ft. deep. For those who like to stay on dry land, the Poolside Yoga class is a great option. The gentle practice will invite strength and flexibility to the entire body through yoga postures and movements. Poolside Yoga is a class that will release stress while building core muscles as you practice in the lovely outdoors with beautiful, Bays Mountain in the background. Participants must provide their own yoga mat. Monday, Wednesday, Friday and Saturday: 9:00 a.m. – 9:50 a.m.
Tuesday and Thursday: 7:40 p.m. – 8:30 p.m.
Monday and Wednesday: 9:00 a.m. – 9:50 a.m.
Water Aerobics classes are $5 for KAC/YMCA members, $4 for members of the Kingsport Senior Center and $7 for non-members. Monthly passes are also available for water aerobics classes. KAC and YMCA members can purchase an unlimited monthly pass for $40, Kingsport Senior Center members for $32 and non-members for $45. Classes do not require pre-registration. Participants can sign up and pay for classes on the day of the class. For more information, please call 423-343-9758 or visit www.swimkingsport.com.